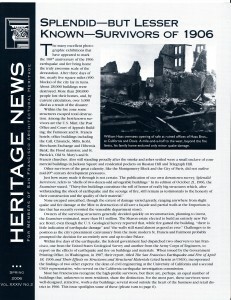 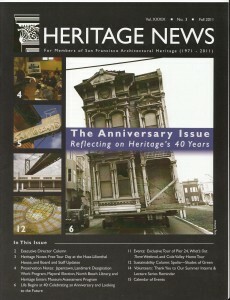 The complete collection of Heritage News is now available online! 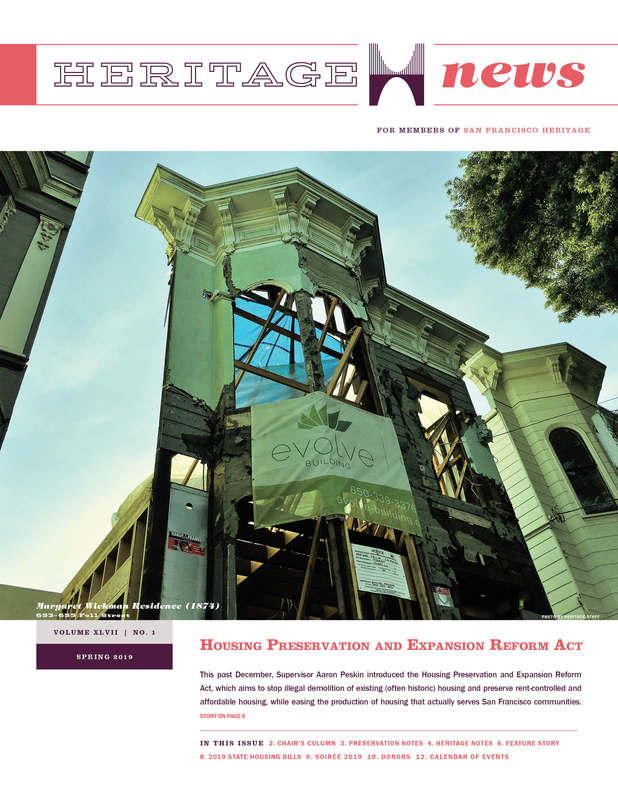 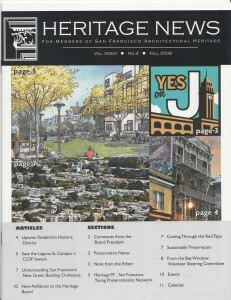 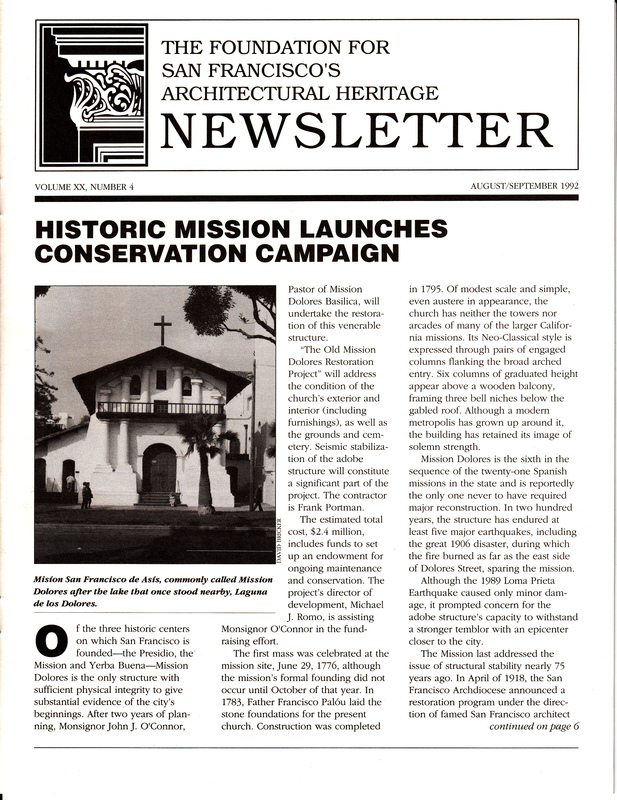 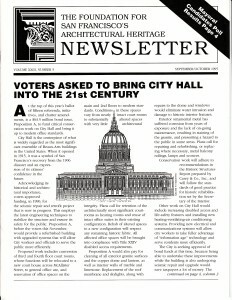 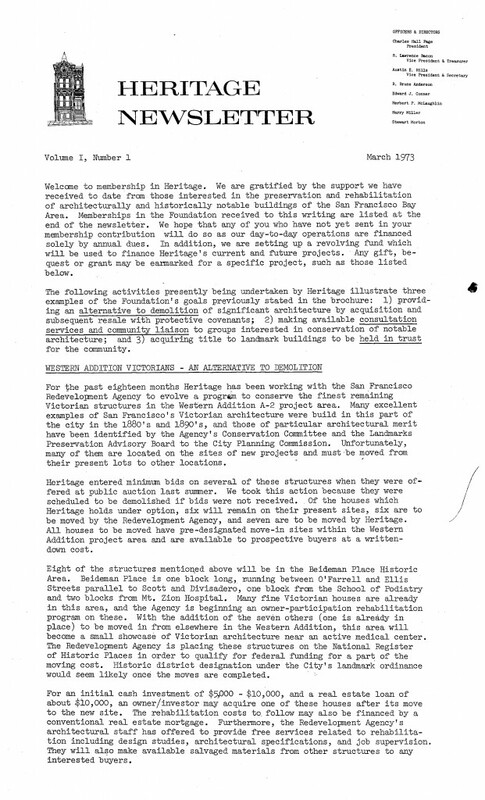 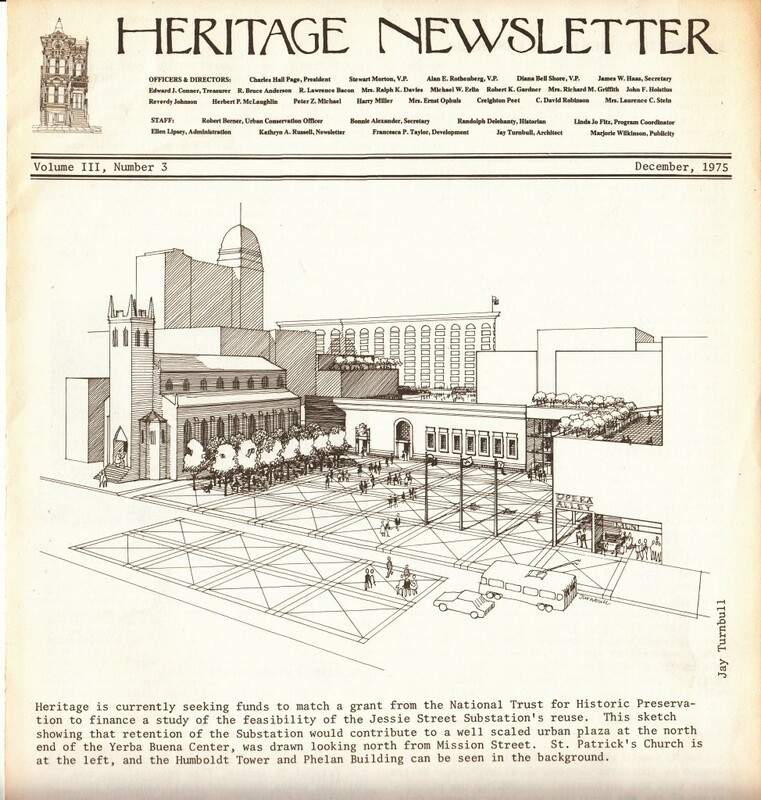 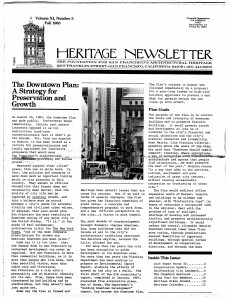 Dating back to 1973, these newsletters provide a unique snapshot of the preservation movement in San Francisco, documenting the many successes and challenges in Heritage’s decades-long history. 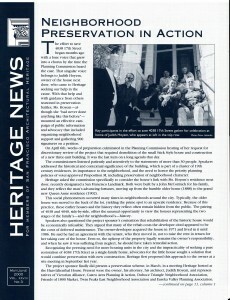 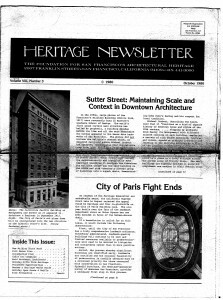 The Heritage Newsletter debuted in the spring of 1973 and has experienced a dramatic evolution in nearly four decades of publication. 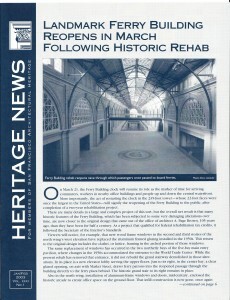 The much-anticipated rehabilitation of the Ferry Building was completed in 2003. 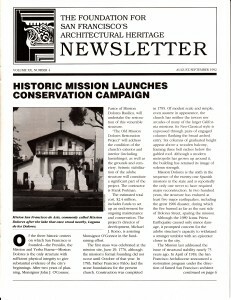 (Jan/Feb 2003). 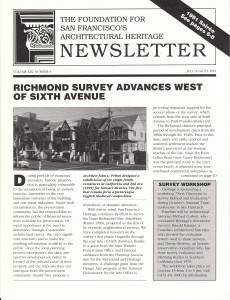 You Don’t have to Destroy a Building to Save It!